Description: Recommended enhancement: Thief. Master time and space like Xeven. 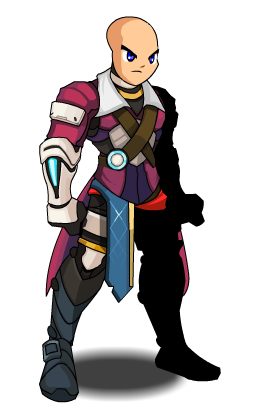 Tear through the fabric of time literally as a Chrono Assassin. Description: You wield Strike Blades. Manipulating with time allows you to attack incredibly fast, but sacrificing attack power. Description: Push time forward with your next strike dealing Light Damage to your opponent. Applies Push Time, increasing your Dodge and Haste by 8% for 12 seconds, stacks to 5. If Reverse Time is in play, Strike Blades will replace it with Temporal Blades increasing your Damage Output by 20% 30% and applying Pull Time, lowering the opponent's Haste and Dodge by 15% for 12 seconds. Description: Relive time with your next strike dealing Moderate Damage to your opponent. Applies Deadlock to yourself, stacks 4 times. Once max stacked Deadlock will consume itself and apply Reverse Time, granting you a Moderate HoT for 10 seconds. Description: Generate time with your next strike dealing Moderate Damage to your opponent. Applies Condense Time, increasing Critical Strike Chance and Critical Strike Damage by by 10% for 12 seconds, stacks to 5. If Reverse Time is in play, Strike Blades will replace it with Temporal Blades increasing all damage out by 20% 30% and apply Depress Time, lowering the opponent's Critical Strike Chance and Critical Strike Damage Damage by 15% for 12 seconds. Description: Sever your foes mind in time making causing them to go insane. Causes the target to hit itself when they try to hit you for 6 seconds. Applies Enhance Time, reducing the damage your target takes by 15%. If Reverse Time is in play, Strike Blades will replace it with Temporal Blades and increase your Damage Output by 20% and apply Corrupt Time, increasing the damage your opponent does by 15% for 12 seconds. For the next 6 seconds the target will hit itself instead of you. If Reverse Time isn't in play you get Enhance Time, reducing the damage your target takes by 15%. If Reverse Time is in play, its it's removed and you get Temporal Blades and while your opponent gets Corrupt Time. Temporal Blades increases your damage by 30%. Corrupt Time increases your oponents opponents damage by 15%. They last 12 seconds. Description: Rarely, when your hit points drop below 10% and your life is in danger, your health and mana will be restored to full and all damage taken will be significantly reduced for 10 seconds. This class has the same skills as Chrono Assassin (Class) (AC).